The traditional Christian feast of the Epiphany offers an abundance of life lessons for those willing to reflect on its meaning. For us, children of a then more pious land, it was el gran día (the great day). Three Kings’ Day was, after Christmas, the greatest festivity of the year. It was a special holy day — of sharing, song, and celebration. Young and old alike looked forward to it with merry anticipation. It used to be that we believed. It was the mystery and the renunciation. Before dusk, on the grand day’s Eve, we would have placed under our bed a shoebox filled with the freshest and greenest grass. Carefully picked, it would feed the Wise Men’s camels. It would help them endure the long, arduous journey. It was our heartfelt gift for them. The next day, in its place, their gift for us. We had been well-behaved children. We all received, but every present was a unique answer for each. It was the gift of giving and receiving. It was the wonder. It was the Epiphany, the Revelation. 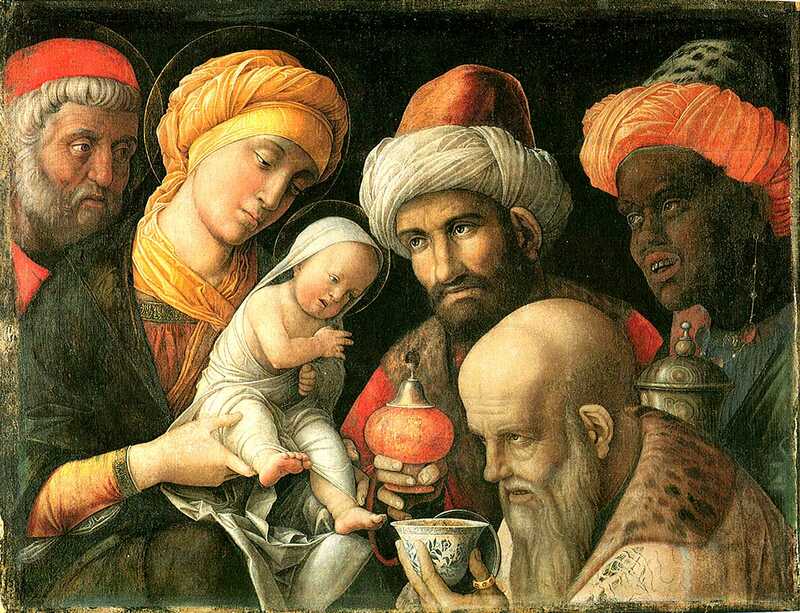 The Magi realised the interplay of science, philosophy, and religion, of the natural and the supernatural, of doing and contemplation. They knew that the Star did not create itself and that its movement was not random. They understood that the sign was not of their own making. They understood that meaning and value stood beyond empirical observation. It was true wisdom. The Wise Men diligently studied and listened. They eagerly sought and found. They saw and they believed. Once discovered, they acknowledged truth. They left country and comfort to follow His star. Once found, they loved the Truth. Herod was diligent and powerful too. But he could not see, for his ends and means were wicked. He had the means to inflict death, but not the gift to find Life. He was cunning and controlling. He commanded, but did not obey. Wonder was not his, but pride. And, so, he knew the facts but lacked understanding and wisdom. It was the joy and the rejoicing. With humble reverence, the Magi knelt and adored Him. It was true freedom and true courage. The Wise Men had many choices, many possibilities. They knew that real freedom is not conformed simply to one’s self or possessions, but to Truth. It willingly surrenders to the Truth. They knew that true power and valor spring from virtue, not from deception and carnage. They did not employ deceit, insult, or bloodshed. Trusting the divine sign, they prudently returned home by a different route. Eloquently silent in worship and in action, they were loyal servants of the newborn Lord. It was Faith, Hope, and Charity. We learned that for something to be true it is not necessary for it to be either empirically proven or logically demonstrated. We had learned that mysteries are as real — even more so — as the grass and the shoebox. We never probed how could it all happen or why the camels needed so much fodder. The Three Kings existed and they would come tonight. Tonight, like every fifth of January night, they would be back, quietly and mysteriously, once we fell fast asleep — not one second sooner. We knew that only when surrendering control, would the Wise Men arrive. Being on our guard, attempting to spy their every move or to outwit them, would have been self-defeating. It would have signaled doubt or despair, pride, disrespect, or disobedience. A mystery calls for reverence, not mockery. It was the gratitude. However modest the present, our hearts would leap with thanks. Little did we know of our parents’ sacrifices and dearest dreams, of their careful and devoted tending of the precious moment. Little did we, children of a then more pious time, suspect that el gran día was teaching us lessons of theological, intellectual, and moral virtue to guide us along life’s way. Alma Acevedo, PhD, teaches courses in applied ethics and conducts research in this field. This article is published by Alma Acevedo and MercatorNet.com under a Creative Commons licence. You may republish it or translate it free of charge with attribution for non-commercial purposes following these guidelines. If you teach at a university we ask that your department make a donation. Commercial media must contact us for permission and fees. Some articles on this site are published under different terms.